This bill exposes small businesses who are seeking financial investors in their company to devastating class action litigation. It seeks to ban the use of arbitration agreements, which is preempted by the Federal Arbitration Act. According to CalChamber, this bill will significantly interfere with contractual negotiations between capable parties by dictating the choice of forum and choice of law for such litigation. 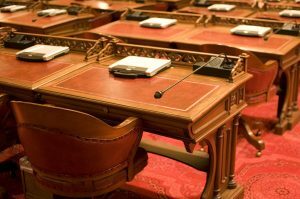 This bill will likely significantly increase litigation by removing standing requirement for plaintiff alleging failure to prevent harassment or discrimination when no harassment even occurs. It also limits the use of severance agreements, and prohibits the use of a general release or non disparagement clause in employer/employee contracts. This bill aims to increase the personal income tax rate from 13.3% to 14.3% for the “high earners” category of taxpayers in order to provide more funding for higher education. The passing of this bill may cause some business owners who fall in this category of taxpayers to mitigate these costs through means that include reducing workforce. In addition to banning arbitration agreements, AB 3080 may also expand employment litigation and increase costs for both employers and employees by banning settlement agreements for labor and employment claims. With the passing of this bill, California employers would be required to submit pay data to the Department of Industrial Relations. This could subject employers to public criticism, unnecessary enforcement measures, and significant litigation costs. Other bills on the list aim to increase corporate tax rates, impose costly mandates on employers who employ digital contractors and interfere with personal service contracts. For the entire list of job killer bills, visit the CalChamber website. Stay tuned to the Emplicity Blog for updates on these bills, as well as any new regulations that may affect California employers.